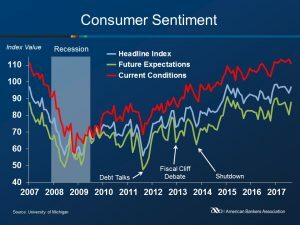 Consumer Sentiment rose 3.4 points in August to 96.8, according to the University of Michigan Consumer Sentiment Index. Last month’s figure is 7.8% higher than the August 2016 index. The Current Economic Conditions Index fell 2.5 points to 110.9 but remained 3.9 points higher than the August 2016 estimate. 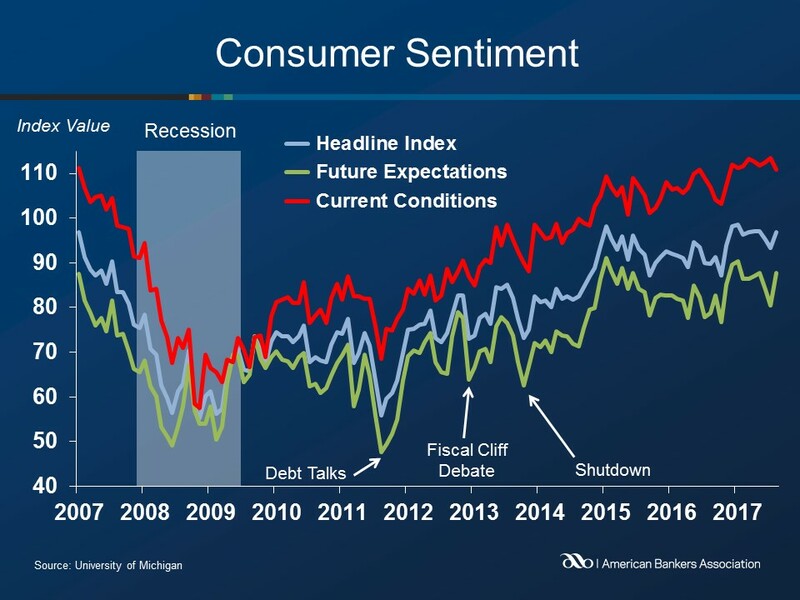 The Consumer Expectations Index increased 7.2 points to 80.5 after falling 4.1 points in July’s estimate. Visit Banks and the Economy.